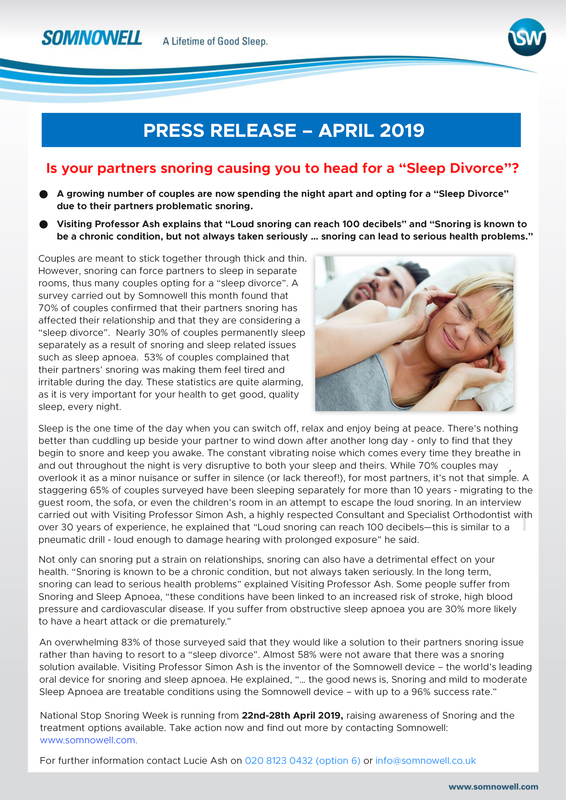 National Stop Snoring Week is an annual event, the aim of which is to raise awareness of snoring and sleep apnoea. 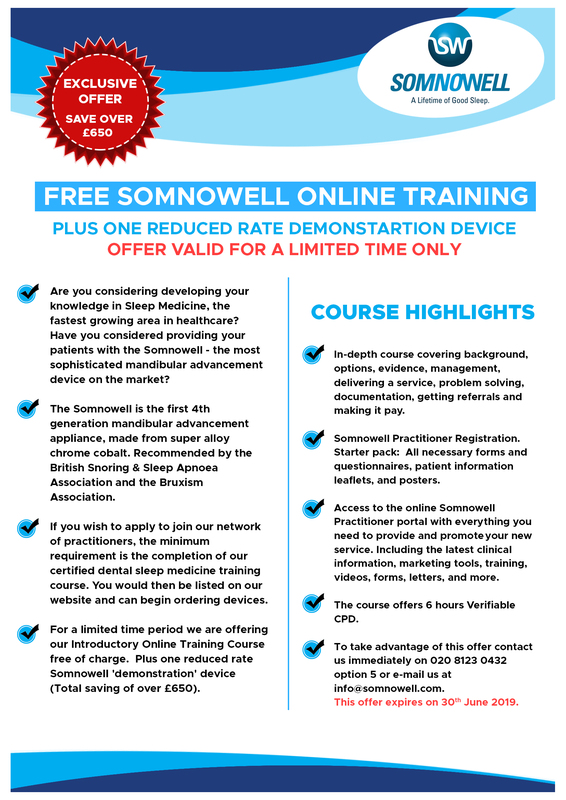 As a Somnowell Practitioner you can get involved in helping to promote awareness and to assist patients to find a solution to their problematic snoring. 2. Use the PDF on all your social media platforms throughout the month of April - Facebook, Instagram, Twitter, LinkedIn etc. Ask your followers to share the information via social media to help raise awareness. You could even run a competition. Tag us @somnowell so we can help you spread the word. 3. Add the PDF to your web page (you can simply send this to your web developer to embed onto your website). 4. Use the information in the PDF to create your own newsletter or press release. 6. Use our press release an distribute it to your media contacts or use it on your social media platforms.